The development of insulin has had a huge impact worldwide, and this can be clearly seen in the Novo Nordisk Canada Gallery at Banting House NHSC. This room showcases the development of diabetes research, the discovery and further development of insulin carried out by Banting and his team: Charles Best, J.J.R. Macleod, and James Collip. Through this gallery, you can see the history of diabetes research and how understandings of diabetes have shifted over time. This exhibit is still in progress, and it tells the history of diabetes management and treatment through stamps commemorating diabetes from around the world. The last panel currently recognizes diabetes researchers at the University of Western Ontario, serving as a reminder that our work is not finished and Banting’s original research is still being continued. I’m excited to see how the exhibit has developed, as the use of world stamps shows the cultural impact of diabetes research, and the significance of people like Frederick Banting. The central display of this room shows how insulin was developed and purified by the Toronto Team to the point where it was safe for human use. The most striking part of this exhibit is the images surrounding the differences in dealing with diabetes before and after insulin. The Allen Diet was the only known treatment at the time, and was essentially a starvation diet to prolong the lives of people with diabetes for a brief amount of time. With the discovery insulin and the use of regular treatments, the change in health of the young boy pictured is huge. It is a massive difference that not only meant survival for diabetes patients, but the opportunity to live a long, happy life. 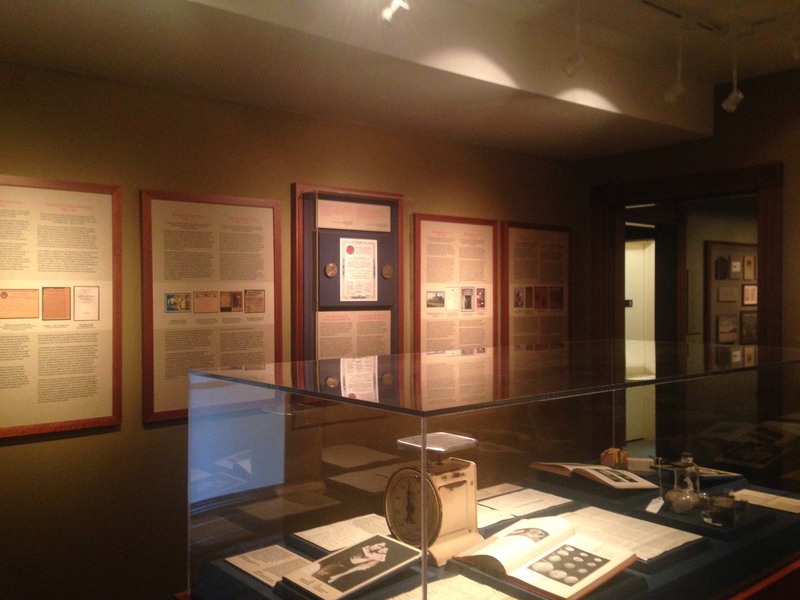 This gallery also displays a copy of the Nobel Prize awarded to Frederick Banting and J.J.R. Macleod, and you can learn a bit more about the lives of each of the four men who played a role in bringing insulin to the world. Dr. Banting felt that insulin belonged to the world, not to him, and that is an important thing to remember as we head towards World Diabetes Day and the 95th anniversary of his idea. This gallery allows us a glimpse into the wide reaching effects of insulin, and the impact it has had on millions of lives. It also reminds us that there is still much do to in diabetes research, as people around the world work tirelessly to find a cure.